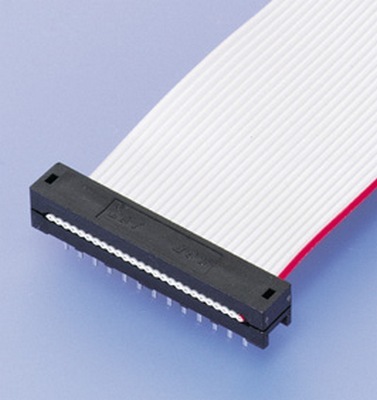 The RC connector is a board-in type insulation displacement connector for 1.27mm (.050") pitch ribbon cables. The number of positions match the RA disconnectable connector series so that they can be used as a pair on opposite ends of a harness. 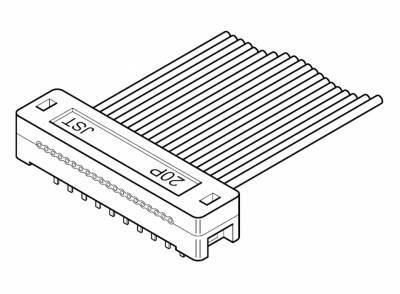 The RC board-in connector has a low profile with a mounting height of 6.8mm (.268") and a width of 6.54mm (.257"). It allows 2.54mm (.100") pitch grid wiring for high density. This connector and a RA disconnectable connector can be used as a pair on opposite ends of a harness to reduce costs and mounting space. The contact comes in gold and tin-plated versions.